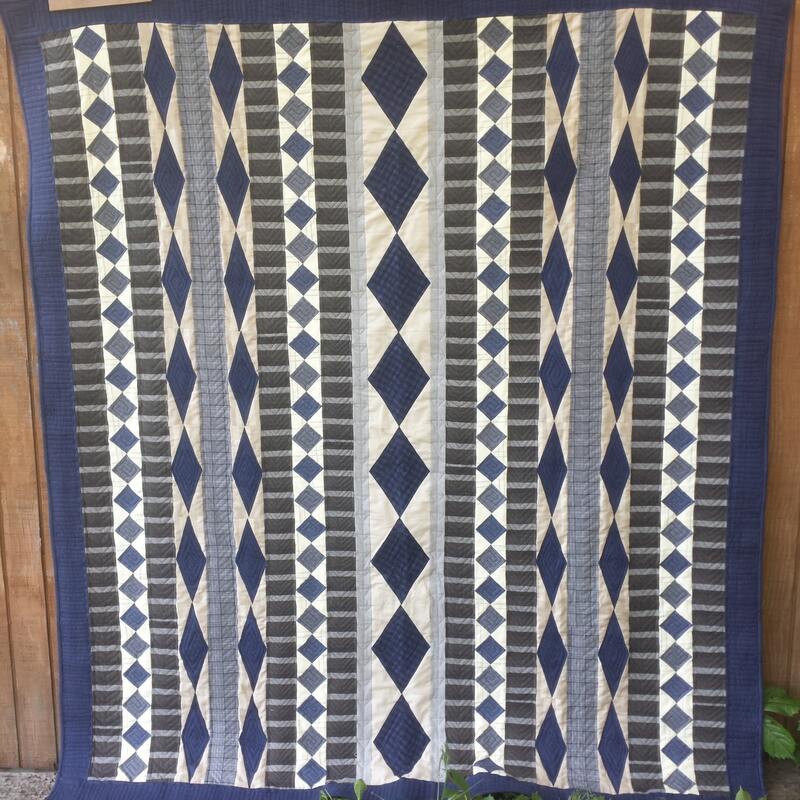 Various sized diamonds make up this vertical row quilt. This pdf quilt pattern makes a great man quilt. Throw quilt: 69" x 78"